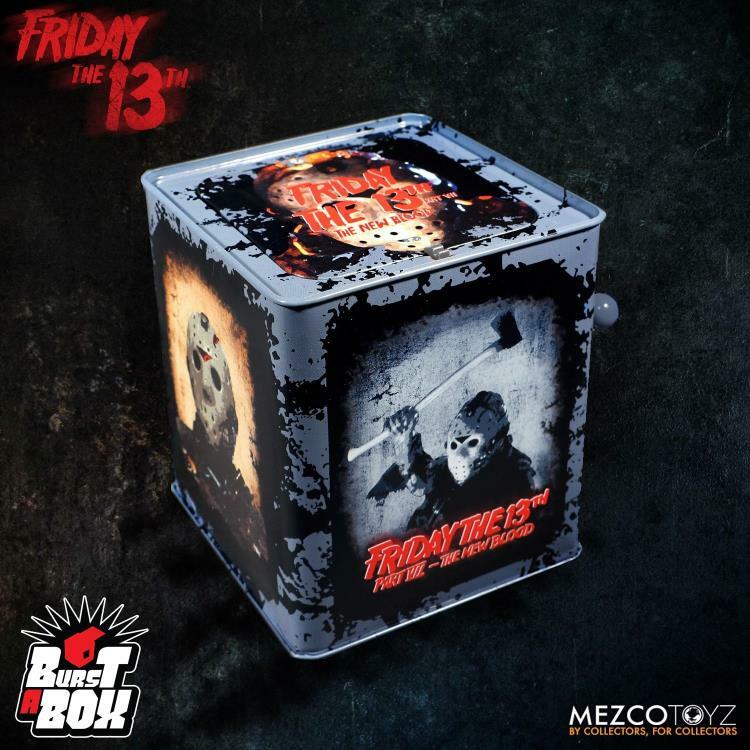 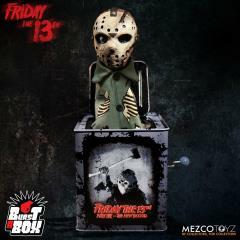 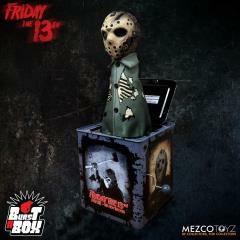 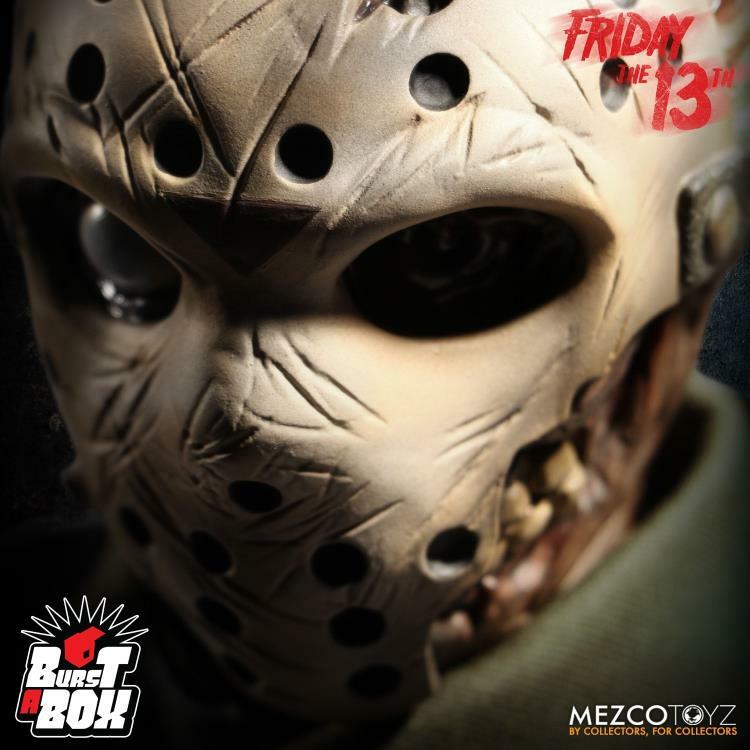 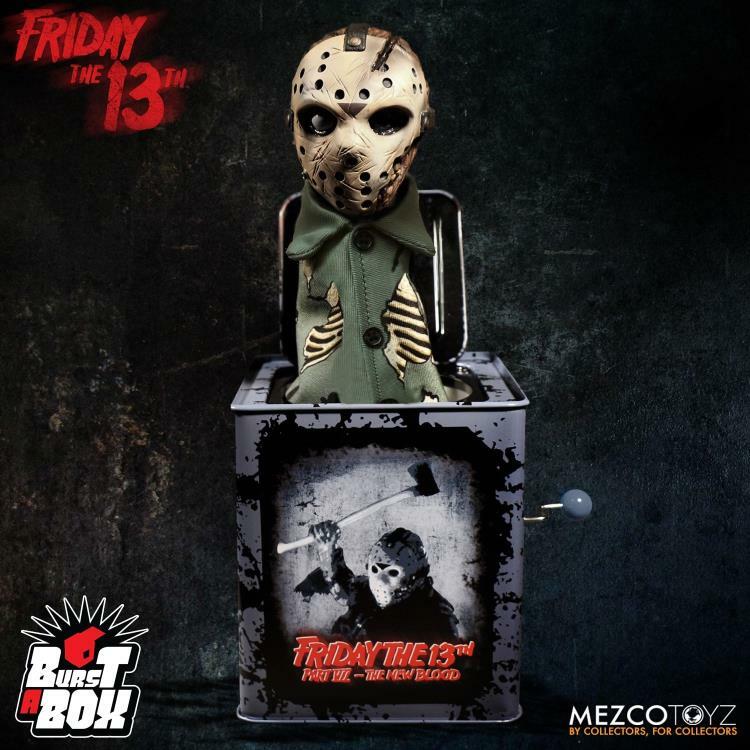 This pop culture-infused twist on one of the most beloved, classic toys–the jack-in-the-box features Jason from Friday the 13th! 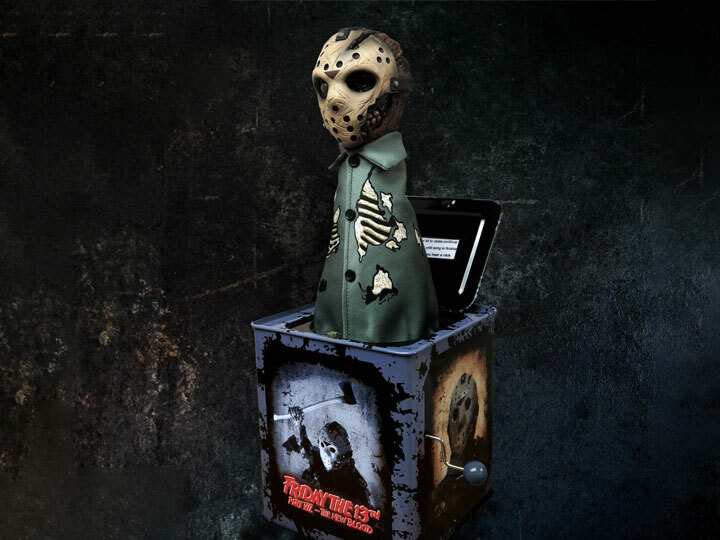 Approximately 14 inches tall when “popped”, the Burst-A-Box is a finely detailed tin music box that encases a detailed sculpt and clothed spring character. 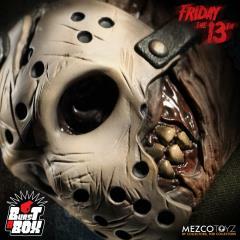 Designed after his appearance in the film, Jason features a cracked hockey mask, exposing the rotting monster underneath. 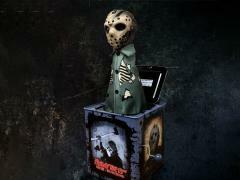 Jason Voorhees comes packaged popped-out of his tin and perfect for display in a collector-friendly window box.